Nowadays it is easy to dress fashionably and wear organic and ethical clothing. Stockists of EcoHip green products, EcoHip.co.uk is offering its customers 10 top tips to ethical clothing, why to wear them, where to get them and how to look good and feel good whilst helping the environment. An estimated two tons of clothing is dumped in landfills every year. Rivers are being destroyed thanks to the toxic dyes used to get the correct shade of blue for the denim we all love so much. As Livia Firth says, ‘Waste is endemic in fashion and it’s easy to lose sight of the enormous impact or footprint it creates.’ She feels so strongly in recycling old garments that for the past 2 years she has set herself a ‘green carpet challenge’ during the awards season. If she can do it, so can we! If you know you’re not going to wear Ethical Clothing you can still make a difference by buying fewer clothes. Instead of buying all the catwalk ‘must-haves,’ that end up at the charity shop or the back of the wardrobe after a few months, try buying classics that you’ll have for years. As we get older this is a better look anyway! The t-shirts designed by Katharine Hamnett, Richard Nicoll and Giles Deacon for the EJF (Environmental Justice Foundation) look really stylish and are made of carbon-neutral, organic cotton. Plus all profits from the t-shirt sales are invested in campaigning. You can wear Sustainable fabrics such as wool, hemp, bamboo and soya which look and feel great. Wearing sustainable fabrics are natural so therefore better for your skin and health in general. If you want to wash them in natural detergent use Aquaballs or soapnuts, another way to help save the planet and yourself too. Click here to find out more about eco friendly washing. 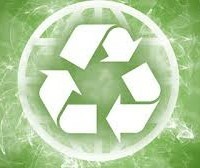 Keep up-to-date with the very latest eco friendly and organic tips from EcoHip. Visit EcoHip.co.uk for the EcoHip natural products must-haves! I just want to say I am just newbie to blogging and actually loved this web-site. Most likely I’m planning to bookmark your site . You surely come with incredible stories. Appreciate it for sharing your web page.